The 5 year old had his first ever school tour last week. So I made him some lemon muffins for his lunchbox as an extra special treat. Chocolate and nuts are banned in his school so I often make him treats based on fruit flavours instead. To be honest I think he prefers them. I’ve moved my desk upstairs in the house now that the two boys are sharing a room. It means that I don’t use the computer in our living space in the evening and that there’s a clear separation between home and work life. Having an office space is brilliant. The only thing is that I’m less likely to lash a blog post together if I’m downstairs as I only use the computer to blog. It also means that there is no more opportunity to snack at my desk while I’m working so these muffins did last longer than I expected! Preheat a (fan) oven to 160 degrees Celsius. Line a muffin tin with cases. This recipe makes approximately 12 muffins. Cream the butter, yoghurt, caster sugar and eggs together until you get a runny batter. Add the flour and baking powder and beat until it becomes smooth. 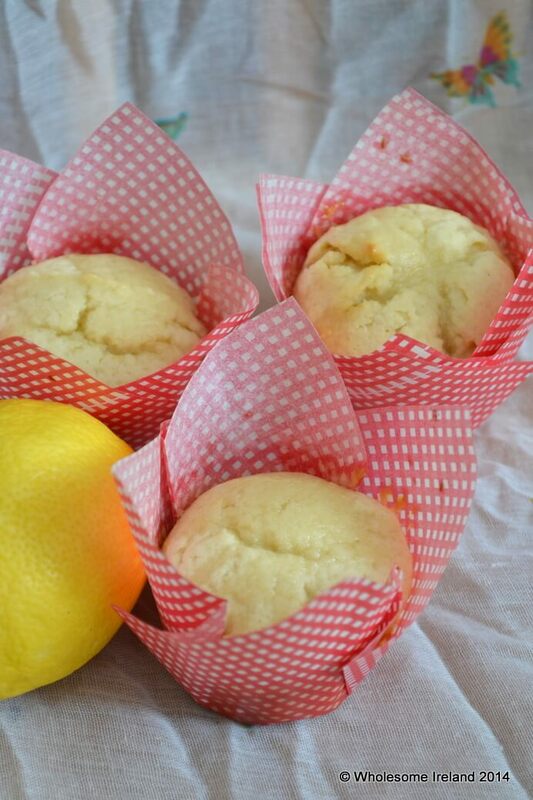 Grate the rind of 1 lemon into your cake batter and divide it between the muffin cases. Bake in the oven for 30-35 minutes. Test the muffins after 30 minutes with a cocktail stick or skewer. If it comes out clean, remove the muffins from the oven. If not, return to the oven for a further 10 minutes before testing again. In a small jug, combine the juice of the lemon and 50g caster sugar and allow to dissolve. Drizzle this mixture on top of the warm muffins. Allow the muffins to cool completely before eating. These muffins will last for up to 5 days in a sealed box in a cool dry place. Mmm these muffins sound delicious! I love a good zesty bake in the summer and a separate space for the computer sounds like a dream!! It’s great I’m far more productive when I’m left on my own in peace!